Kaspersky Virus Removal Tool is a free tool for scanning and disinfecting Windows computers from viruses, malware, adware, and riskware. Kaspersky Virus Removal Tool will scan the specified locations for any virus threats and remove them or send to Quarantine folder. Kaspersky Virus Removal Tool is a standalone, portable tool and doesn't provide real-time protection. 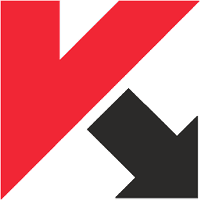 Disclaimer: Direct downloads for the lastest version of Kaspersky Virus Removal Tool 15.0.19.0 (27.04.2017) are provided by the official software's author, we can't guarantee safety, availability or download speed. Moreover, we don't and we won't provide any pirated/illegal versions or tools. We recommend you to avoid it as these methods can harm your device. If you like the software, buy it to support the developers. (We provide software discounts for many worldwide brands).